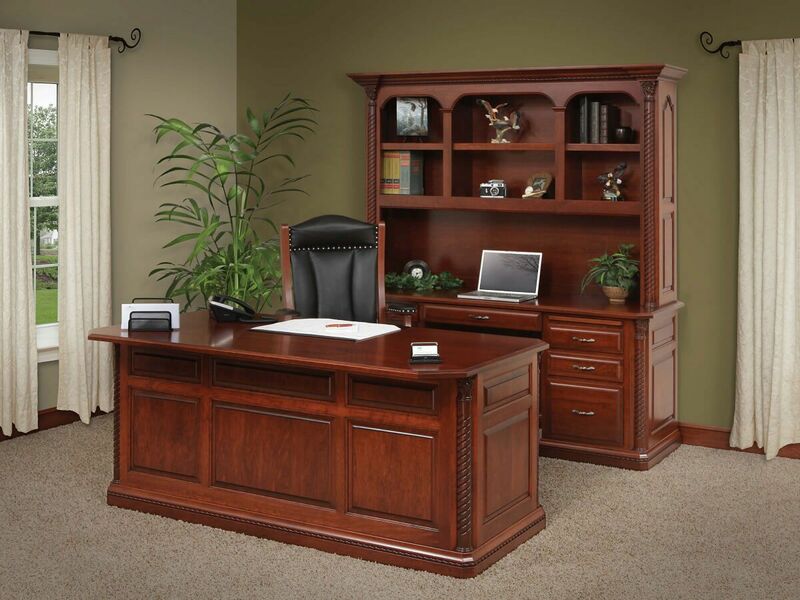 Let our solid hardwood New Haven Computer Credenza be the centerpiece of your corporate or home office. Design it yourself and we build it to order. We begin with responsibly harvested, renewable American hardwood. Each piece of your New Haven Computer Credenza is then made from hand selected pieces which are stained and hand rubbed to match perfectly. Topping this amazing wood is an industry leading catalyzed conversion varnish that is resistant to spills and stains. Hand-sanded, the one inch thick top of your New Haven will be silky smooth. 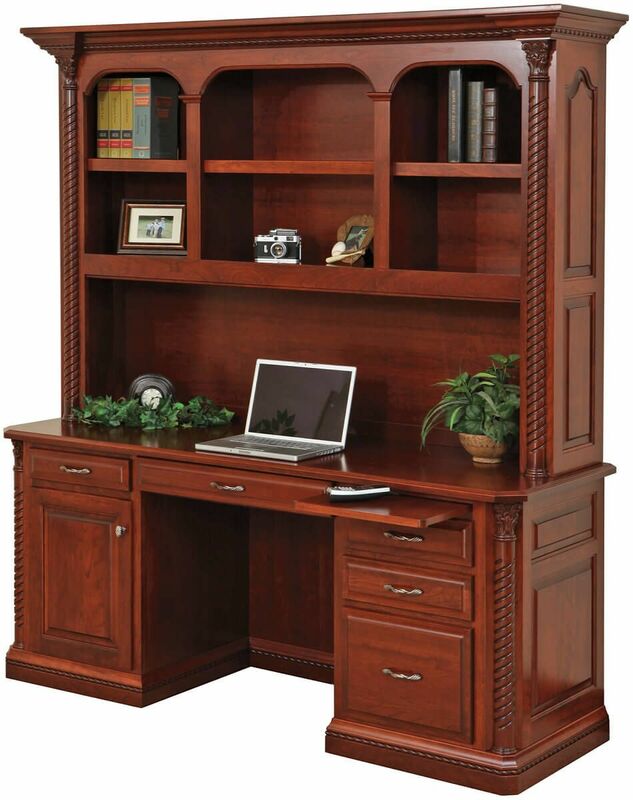 Raised panels, braided corner columns, and rope moulding throughout your New Haven Computer Credenza are the fine details that set this elaborate piece apart from the field. 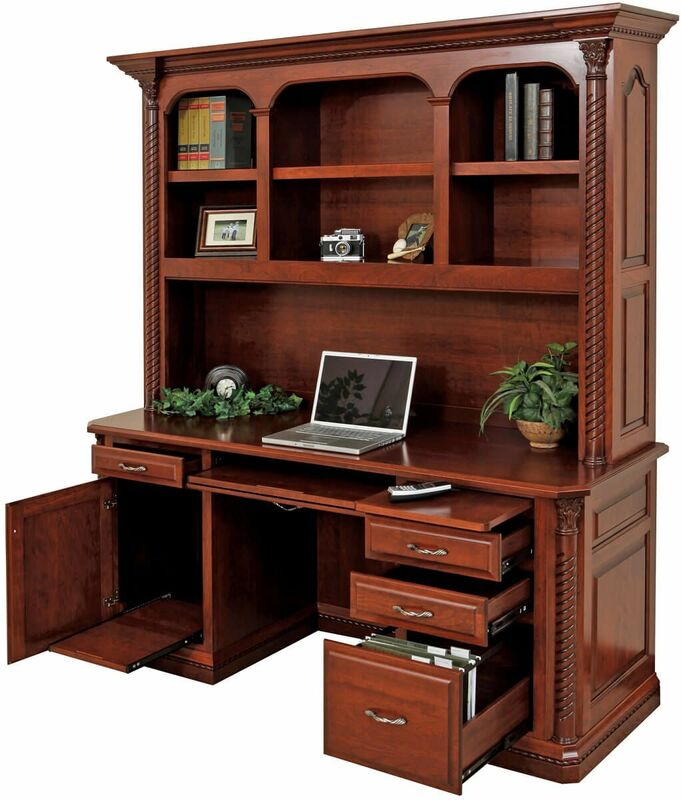 Dovetailed drawers, adjustable shelves, and the hardware of your choice complete your handcrafted, wooden desk and hutch. Choose well from the Create Your Piece menu to create a precise piece of heirloom furniture. Countryside will see it through and deliver the New Haven to your home or office.